Driven by high levels of trust and reliable library resources and staff, people turn to the library to get online to search for and apply for jobs, pursue education goals and learn about new technologies. Seventy-eight percent of Americans say libraries should definitely offer programs on digital skills and 76 percent say the same about programs to teach people to protect their privacy and security online. More than half of adults say libraries contribute to people finding jobs and job training, and 52 percent say libraries should definitely offer programs to support businesses and entrepreneurs. Along with the public, local government officials place a heavy priority on digital skills and inclusion and see libraries as part of the equation in closing the digital divide as well as being critical to children’s education along with public schools. And the good news is – libraries are doing all of these things. To equip public libraries to better demonstrate the role they play in supporting city and county officials’ visions, the Urban Libraries Council has published a series of three new white papers, Libraries and Economic Opportunity, Libraries’ Second Digital Transformation and Libraries, Trust and Social Capital. These new white papers show the nation’s libraries are lessening the digital divide with a wide range of digital services and programs, especially when it comes to education, digital skill development and advancing job opportunities. And when evaluating information and securing personal data is ever more important, libraries are stepping forward. Our public libraries have digital inclusion goals in their strategic plans aiming for digital equity. To support workforce needs, they provide curricula to develop computer skills along with tech resources for job searchers and entrepreneurs. And now more than ever, public libraries and public schools are joining forces to help the nation’s children achieve with the library technology, books and committed staff. At a time when trust in public institutions is much needed, public libraries are fulfilling that need. As the demands and complexity of modern life have grown – new technologies, new skills needed for jobs and the need to separate information fact from fiction – libraries have expanded their reach to meet people where they are and where they are going. The public knows this and community leaders are increasingly seeing this. City and county elected leaders can rely on them as essential partners for building intelligent, equitable communities. Susan Benton is President and CEO of the Urban Libraries Council. She has worked with libraries and local governments for over 30 years. Her professional career has been dedicated to assisting city and county executives initiate and manage change in their organizations so that citizens and businesses are receiving the strongest possible services. 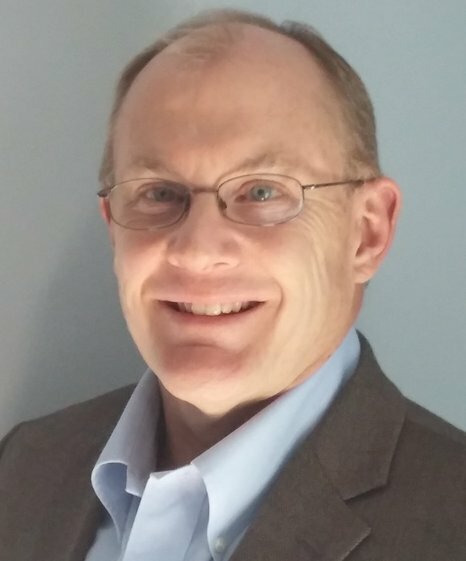 John B. Horrigan is Senior Fellow at the Technology Policy Institute, with a focus on technology adoption, digital inclusion, and evaluating the outcomes and impacts of programs designed to promote communications technology adoption and use. Horrigan is also currently a consultant to the Urban Libraries Council. Additionally, he has served as an Associate Director for Research at the Pew Research Center, where he focused on libraries and their impact on communities, as well as technology adoption patterns and open government data.